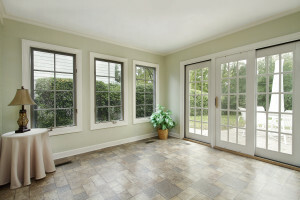 All of the new windows we install are designed to maximize both aesthetics and energy efficiency. They come from the best names in the business, such as Ply Gem, eShield, Wincore, and Simonton, and each one features a vinyl frame. Vinyl is an outstanding insulator, never needs to be painted, and is especially resistant to chipping, cracking, peeling, warping, and fading in color. And, speaking of colors, you’ll have many to select from, allowing you to match the façade and interior of your home perfectly. To learn more about Green Machine and the new, energy-efficient replacement windows we provide for Jacksonville, FL, homeowners, please contact us today for a free consultation and pricing estimate.